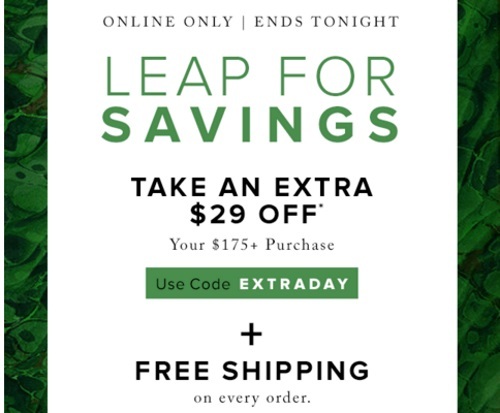 Hudson's Bay is celebrating Leap Day today with a Leap for Savings promotion! Get Free Shipping on every order, regardless of the size and also get $29 off your purchase of $175 or more. Enter the promo code EXTRADAY at checkout. Offer is valid online today only.